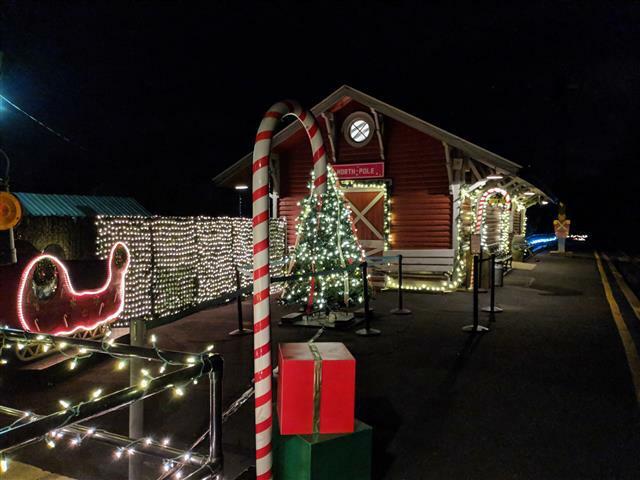 North Pole Express Departures Added! Looking back at Dunellen's Railroad Days Festival! When Dunellen held its annual Railroad Days Festival, the power provided for those excursions from Dunellen west over NJT's Raritan Valley Line was a nice change of pace from the daily lineup one would see along those rails. 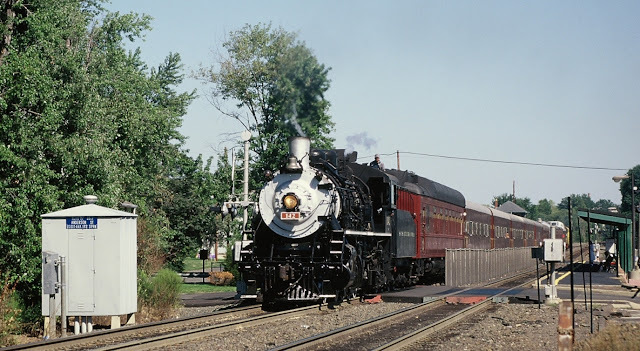 On September 10, 2000 steam would return to the RVL with NYSW 142 powering the west bound excursion trains. With multiple runs being scheduled that allowed for numerous photo ops along this line. Image 2: passing through the Somerville station. Image 3: approaching the Thompson Street grade crossing in Raritan. 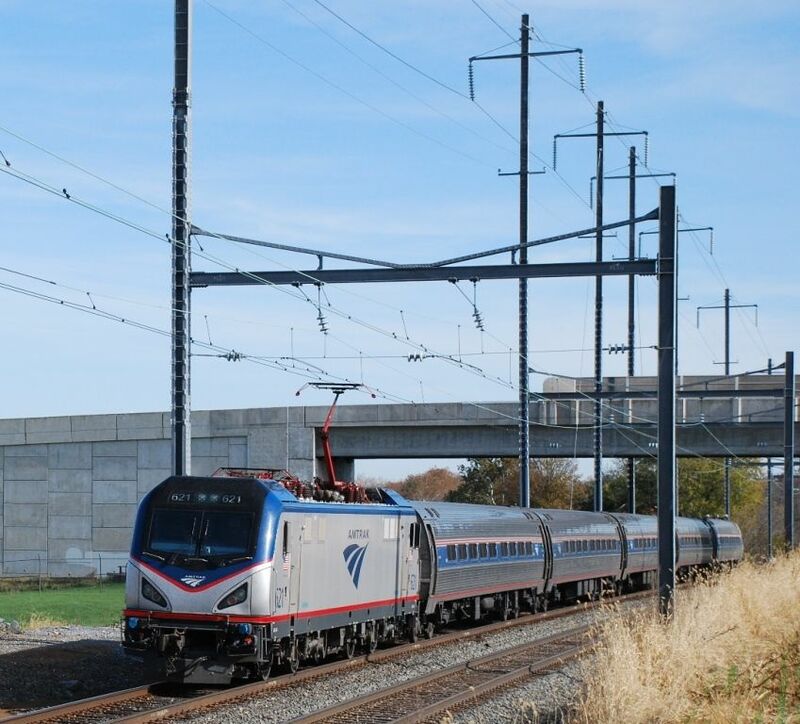 BOYD Tower's roof is seen behind the train's first coach. Holiday Train Show Next Weekend! First Weekend of the Holiday Train Show!!!! Our organization is pleased to again open our doors to the general public for our Annual Holiday Train Show! The building will be open and both of our layouts will be operating. 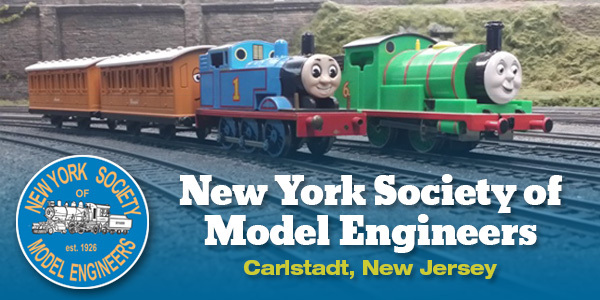 We feature 5,000 plus square feet of operating trains in both O and HO scales. Many types of trains will be running, from old time steam to modern diesel engines. Of course, how could we not include Thomas and his friends! While visiting, take a moment to look over our collection of tail signs from historic trains that are long gone. Lastly before you leave, don't forget to stop in the souvenir shop for your favorite railroad related goodies! 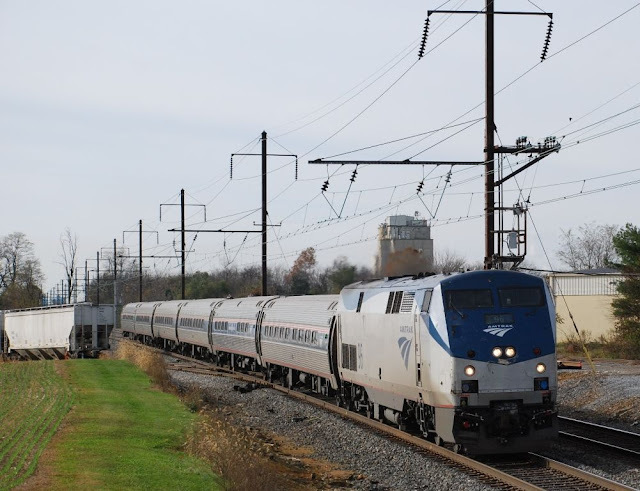 from Easton, PA into Phillipsburg, NJ on this blustery November 16th at 10:58 AM. Motive power for this run to Portland, PA was NS 3489, NS 3496 (Operation Lifesaver), NS 3470 and NS 6140. Behind the power is a consist of mixed freight that will be interchanged with the DL in Portland. As an FYI, that river in the foreground is not the Delaware but the Lehigh River. 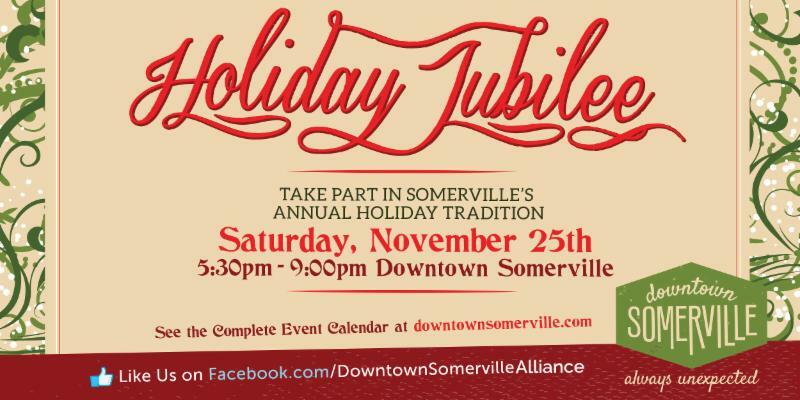 Join all of your friends at Holiday Jubilee! 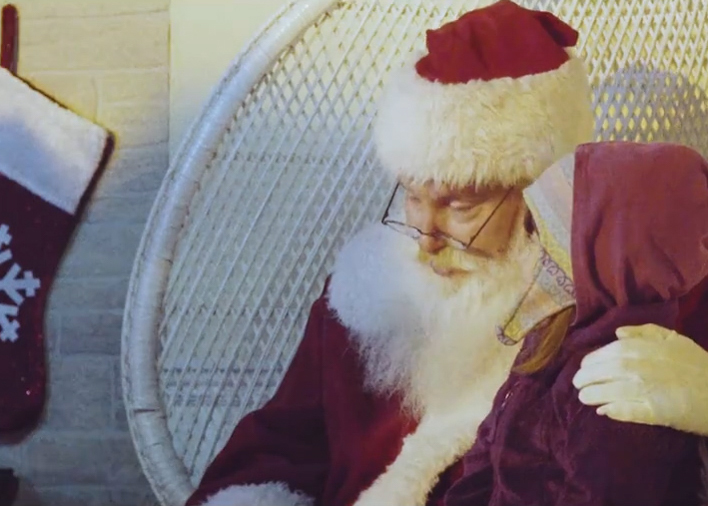 The chilly temperatures have gotten you in the mood to celebrate too, right? 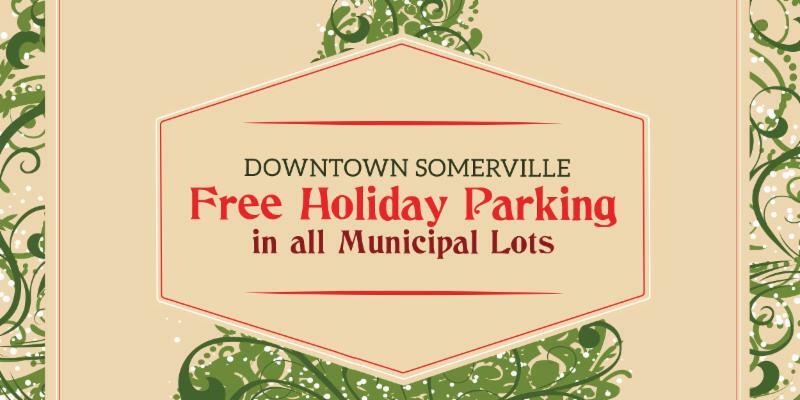 There's a big tree on Division Street, wreathes are popping up on doors, and there are jingle bells in the distance...finally, it's time for the Downtown Somerville Holiday Jubilee! This year's signature event takes place on Saturday, November 25. 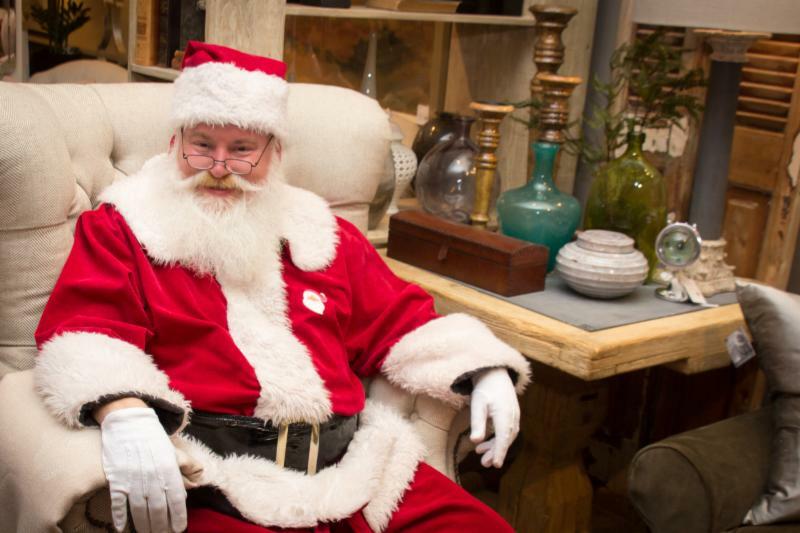 Start the day early: retailers, restaurants and service providers are opening their doors wide to welcome you with unique Small Business Saturday experiences and opportunities. Then, gather on Division Street at 5:30 for music, entertainment and the arrival of "you know who" on an antique firetruck to light the towering tree. The celebration continues into the evening with horse-drawn carriage rides along Main Street. Take photos with Santa on the United Reformed Church lawn, catch performances from the Raritan Ringers bell choir within, and enjoy treats and surprises from community groups and sponsors RAM Law and The Children's Dental Center. 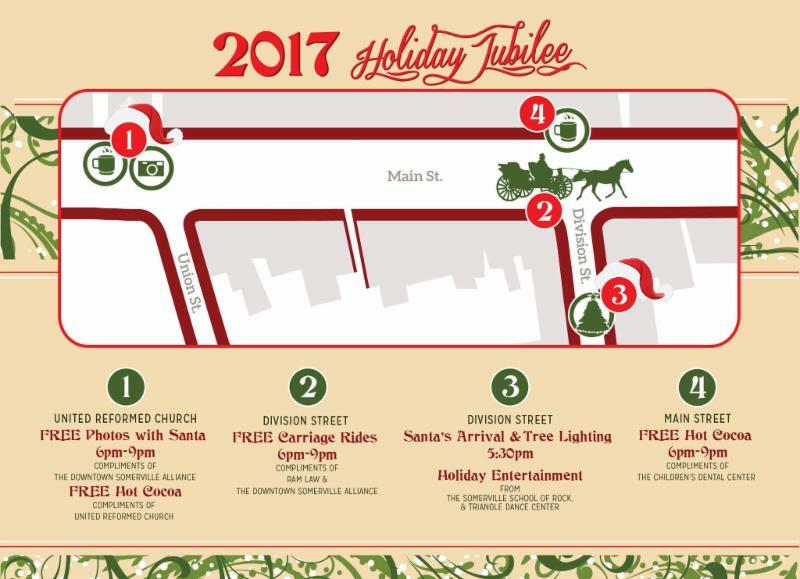 Don't miss the opportunity to experience the joyful community spirit alive in the heart of your downtown. 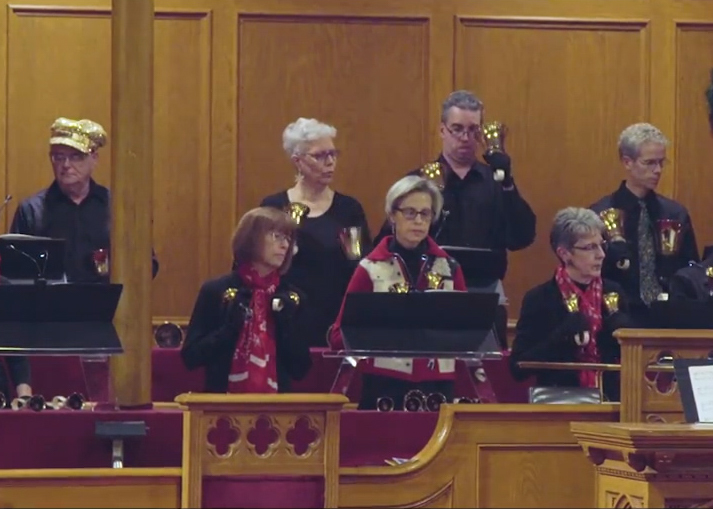 Join your neighbors to ring in the season at the Holiday Jubilee! Switching Aeropres Gases, now and then! 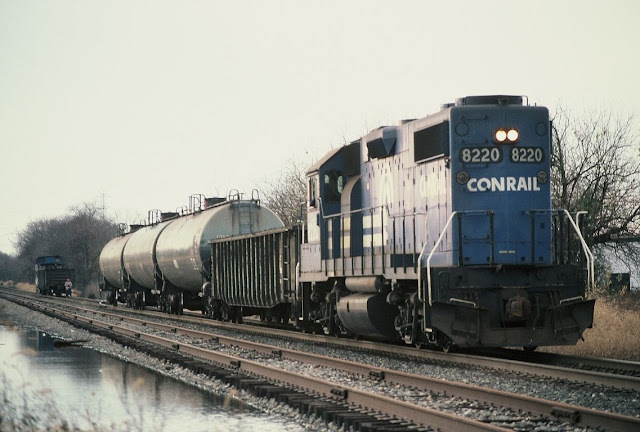 Back on November 17, 1985 I was fortunate enough to catch CR's WJAL switching tank cars at Aeropres in Hillsborough (NJ). Motive power that day was CR 8220 (GP 38-2) and off in the background can be seen a caboose. Fast forward thirty-two years later as NS's H76 is once again switching tank cars at the Aeropres facility on Wednesday. NS 3489 (SD40-2; ex-BN 8129, BNSF 8129 & FURX 8129) is in control at this time with an unidentified second diesel waiting in the back on NS's LEHL. 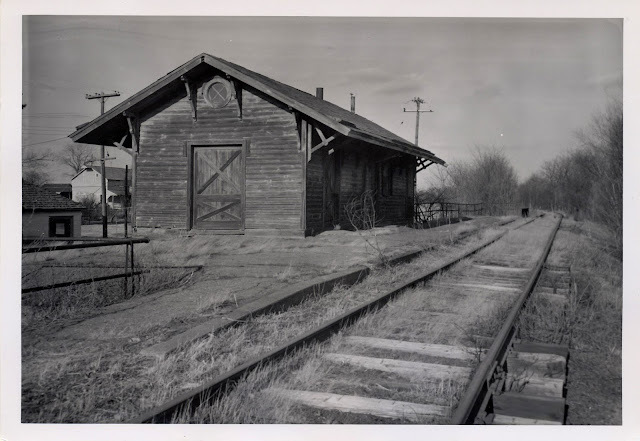 I thought it was rather ironic that this train and the one I photographed thirty-two years earlier would have a caboose in its consist. 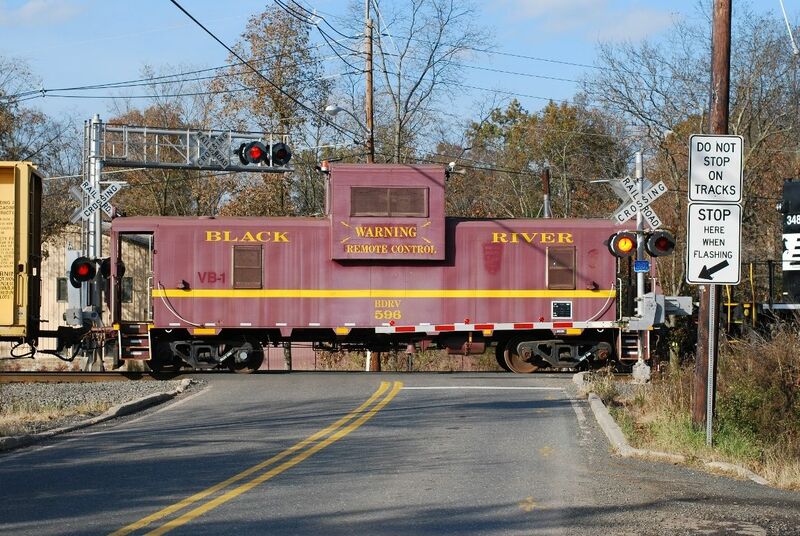 As to why BDRV's 596 remote control caboose was on the H76 I do not know what the reason for its move was. Still faintly visible beneath the "R" on BDRV 596 is the Montreal Maine & Atlantic Railway logo. Headed out to Mount Joy (PA) to photograph Amtrak's "Pennsylvanian" which had the PRR sleeper-lounge car 'Colonial Crafts' bringing up the rear markers near MP 77.7. 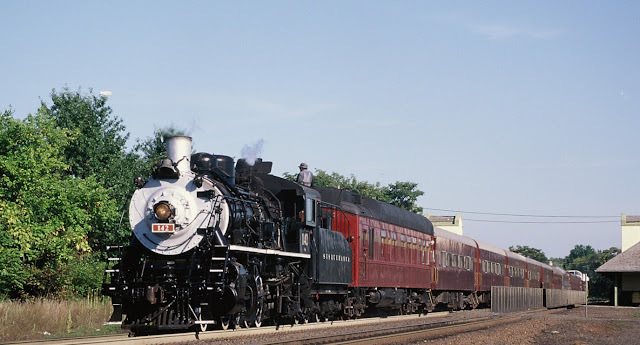 It was a special excursion trip that was to terminate in Pittsburgh and then Colonial Crafts would return on Sunday's Pennsylvanian. Looking at the two people standing in the vestibule of that car, they had to be cold as the temperature hovered in the lower thirties. Image 1: The eastbound Pennsylvanian, led by Amtrak's 96, is running a few minutes late as it approaches what used to be the Eby Chiques grade crossing. That crossing has been closed off and the Maibach Lane Bridge now carries vehicular traffic over the tracks. 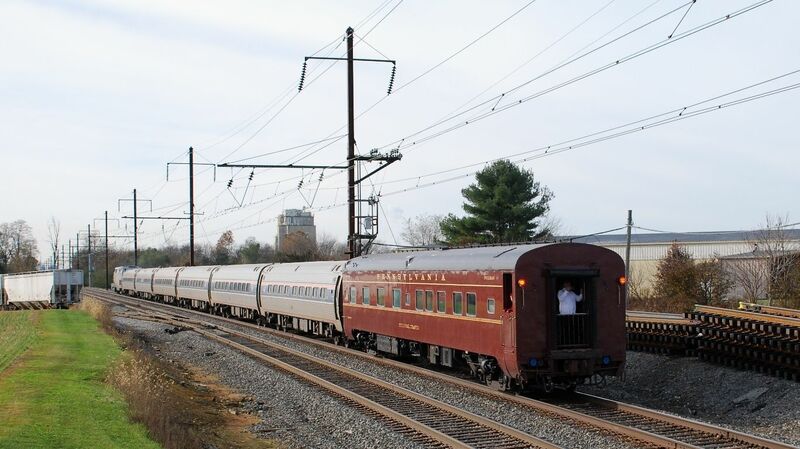 Image 2: PRR's Colonial Crafts heads west past the siding for Esbenshade Mills. In the vesitbule stands two people taking in the passing landscape. Image 3: Amtrak's 663 passes beneath the Maibach Lane bridge with its next stop being Mount Joy. 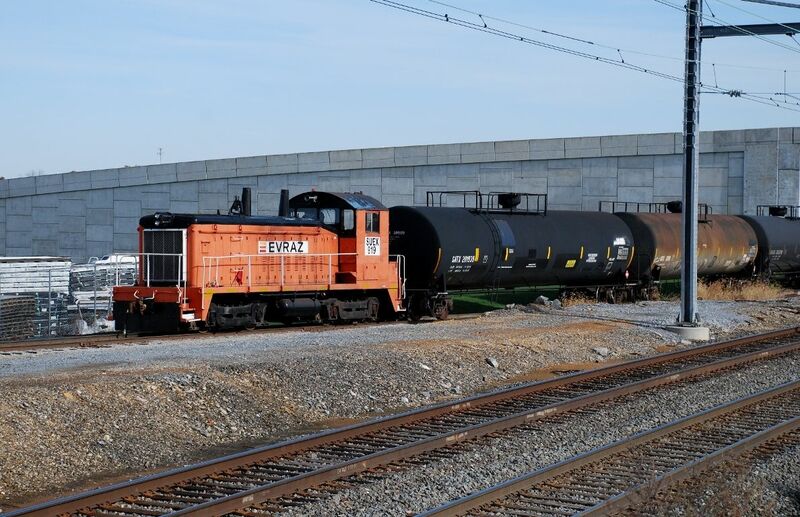 Image 4: An added bonus was having Lancaster Propane Gas's SUEX 919 repositioning some tank cars. Normally when I come to this spot all is quiet at that facility. Fortunately that was not the case today. 919's heritage is unknown at this time. 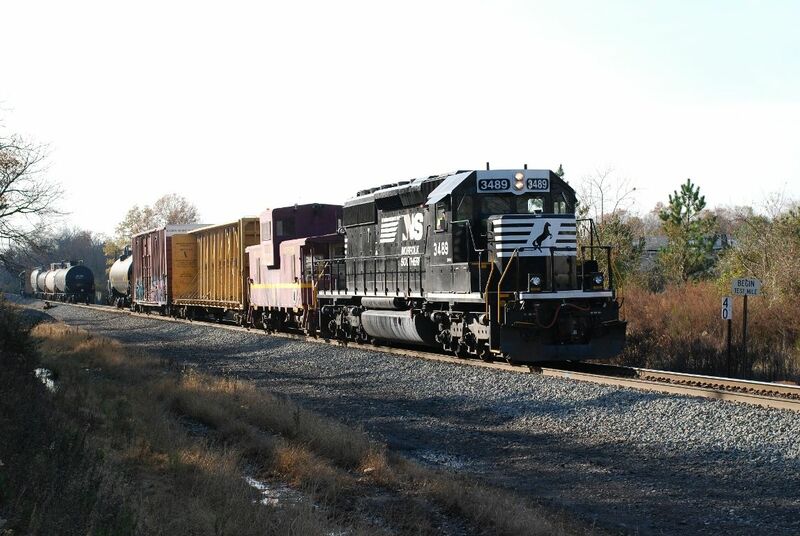 Norfolk Southern heritage unit NS 8114 leads 18N over the Route 206 bridge in Hillsborough (NJ) around 4:59 on Monday (Oct 30th). This bridge is scheduled for demolition as a result of a highway widening project that is scheduled for completion by 2020. Considering the thickness of that bridge's concrete it should prove to be a formidable task to demolish this bridge. Built in 1930 back then things were built to last a long time.